Here are some of the air conditioning photos with parts and other accessories that are used to install the air conditioning unit to ensure proper operation. Include in the photo is the Copeland compressor that is commonly used in higher capacity unit. Copeland is a US compressor manufacturer and has good compressors of various sizes that are fitted into many split units. The use of more ozone friendly refrigerant such as R410A means that many parts such as compressor has to be compatible with this refrigerant. The price of this refrigerant is still higher than the conventional R22 gas but many manufacturers have been phasing out this gas as it is not ozone friendly. Each refrigerant is indicated by the color code and the cylinder used is color-coded accordingly to prevent mix-up. 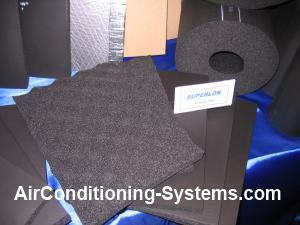 Insulating foam is used to reduce vibration as well as preventing the air moisture from getting into the tubes. Better quality insulation has helped to reduce the loss of capacity during operation of the air conditioner unit. See the photos of the insulating sheet that is used in some installation. 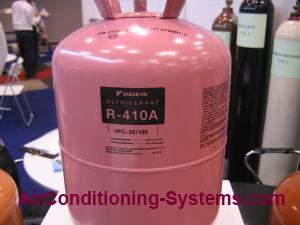 The R410A refrigerant in the color-coded cylinder. Insulating foam used in some air conditioner during production. 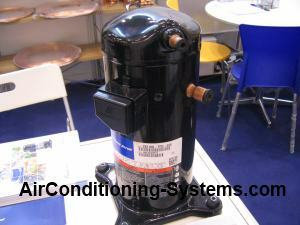 A typical Copeland compressor used in higher capacity air conditioner unit. 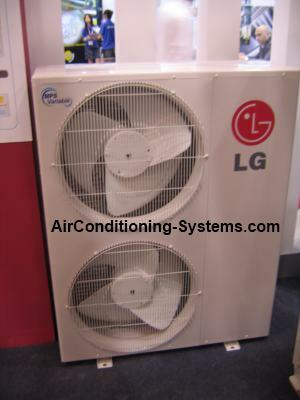 LG Condensing unit on display. A cooling tower that is used to reject heat to the atmosphere. 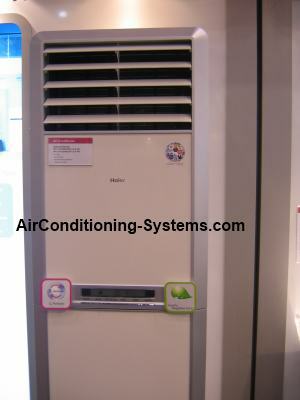 Haier is one of the few manufacturers that make cabinet type of air conditioner unit. This type of split HVAC is commonly used in China. You will find these units installed in restaurants, shops and offices. 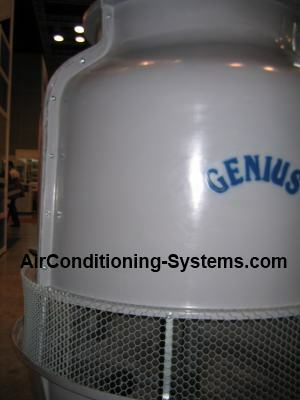 The cooling tower is typically used in central air conditioning system. You will find these towers in universities, convention centers and bigger buildings that demand for greater cooling capacity.